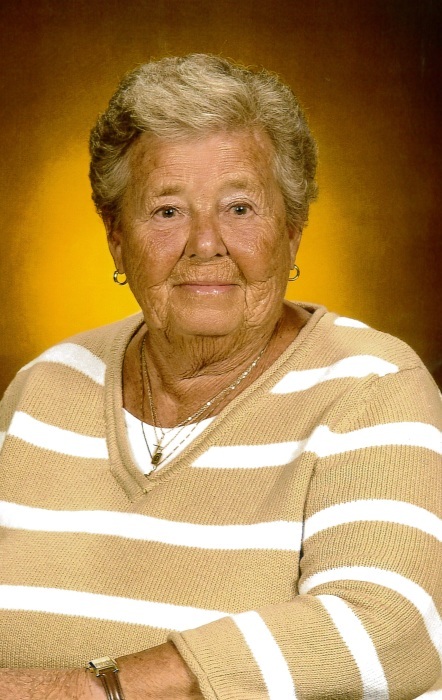 Doris A. Daub, 92, of Auburn, died Sunday October 7, 2018 at DeKalb Health in Auburn. Doris was born March 11, 1926 in Garrett, a daughter of the late Theron and Annabelle Wilcox. Doris was the apartment manager for Graber Homes for 37 years retiring in 2008. Doris was a member of Immaculate Conception Catholic Church. She is survived by a son and daughter-in-law, Steven and Nedra of Fort Walton Beach, Fl. ; daughter and son-in-law, Linda and Bruce Houser of Waterloo; brother and sister-in-law, Jack and Marlene Wilcox of Garrett; grandchildren, Andy Daub of Auburn, Scott (Julie) Tarlton of Auburn and Nicholas (Mandy) Tarlton of Armada, MI; great grandchildren, Megan Tarlton, Wilson Tarlton, Matthew Paul Tarlton and Garrett Tarlton. She was preceded in death by her father, Theron Wilcox; mother, Annabelle Wilcox; husband, Paul Daub; brother, John Wilcox; and a sister, Mary Lou DeWitt. Mass of Christian Burial will be held 10:00 am Friday at Immaculate Conception Catholic Church 500 E. Seventh Street, Auburn. Rev. Tim Wrozek will be officiating. Visitation will be held on Friday from 8:30 -10:00 am also at the church. Burial will be held in Immaculate Conception Catholic Cemetery, Auburn. Memorial donation may be made to masses or the Auburn Kiwanis Club.